"The mission of the Kalamazoo Hamfest is to deliver a venue for face-to-face QSOs, the selling and buying of radio equipment, as well as provide opportunities, for those interested in the hobby of Amateur Radio, to learn, exchange ideas, and have an opportunity to physically inspect equipment common to the activity. The Hamfest, co-sponsored by the Southwest Michigan Amateur Radio Team (S.M.A.R.T.) and the Kalamazoo Amateur Radio Club (K.A.R.C. ), provides an opportunity to promote their organizations and advance the goals of amateur radio community." The location is once again the Kalamazoo County Fairgrounds and Expo Center. A map and directions can be found on the Directions tab. General Admission is $7.00 per person, Scouts in Uniform - Free. Check back for updates to the rest of this page soon! Last Update 2/23/2019 16:30 UTC. You can use google maps to find directions below. The K8KZO 147.04 Repeater will be the talk-in frequency. It has positive (+) offset and a PL Tone of 94.8 Hz. Once you arrive at the fairgrounds, the main entrance to the Hamfest is on the east side of the building. Tables Are Still Available Rent! Reserve your table today - forms available on the downloads tab. Table/Vendor Setup is available on Saturday from 3 PM until 6 PM. Setup reopens on Sunday at 6 AM. Because of the nature of the weather at the end of October, the Kalamazoo Hamfest will NOT hold Outdoor Trunk Sales. Tables will be available inside the Expo Center for sales. The standard table fee will apply. Depending upon demand, tables may or may not be available on the day of the hamfest. To assure yourself of a table, please make table reservations as soon as you can. Here is a list of some of our 2018 vendors. We hope you will patronize their tables! 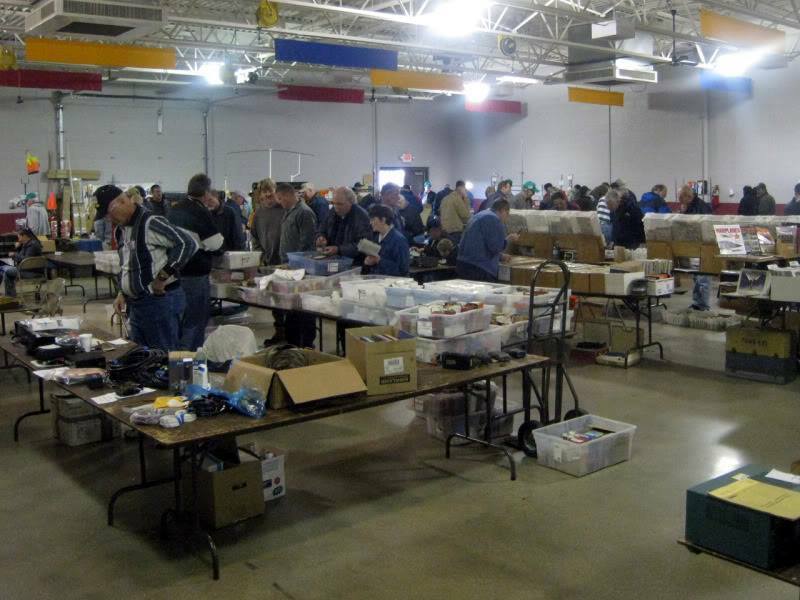 They join our hamfest to offer goods and services you may need or find useful in the hobby. We will update this list with 2019 vendors as our hamfest approaches. This page will continue to be updated as the Kalamazoo Hamfest approaches. The Kalamazoo Hamfest would not be possible without a dedicated team of volunteers that work throughout the year to make the event a success. At the Hamfest, locate a volunteer easily by their green "Hamfest Volunteer" hats and badges. Watch this space for announcement of this year's forums.